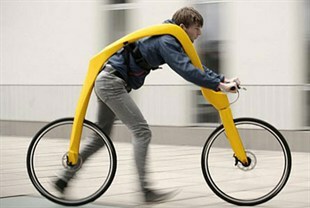 New Fliz bike...no pedals...no seat ...see video...run / ride !! Bicycle revamped with no pedals or seat...The Fliz requires users to run to build speed. A pair of German designers have revamped the bicycle without pedals or even a seat, requiring riders to build up speed by running. Much like Fred and Barney do in the Flintstones. 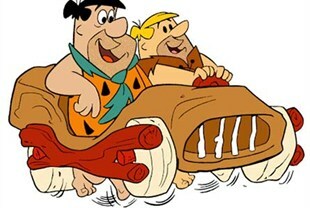 But the "Fliz" is not a homage to the Stone Age cartoon family. Rather, it pays tribute to what creators Tom Hambrock and Juri Spetter say is the first bike — a velocipede that predates the bicycle we all use today. "The aim of developing Fliz was to bring a completely new driving experience to everyone," the pair said on their website. Fliz is a reference to the German word "flitzen," which means to speed. To ride it, users strap themselves into a harness and then build up speed by running and then cruising with their feet resting by the rear wheel. The designers said the Fliz should not be seen as a fresh option for "overcrowded" urban environments. They have submitted their invention to the annual James Dyson Award, an international student design award. 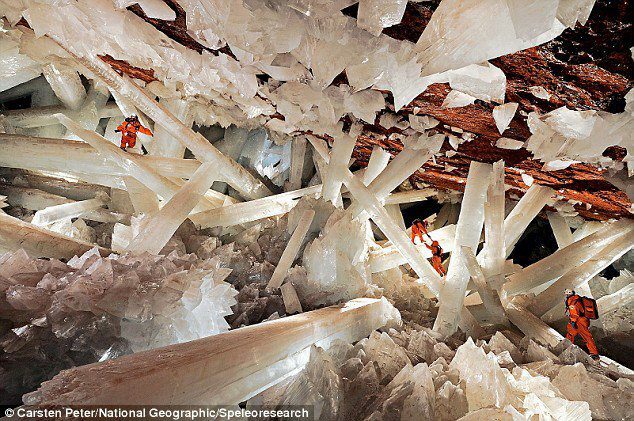 Giant Crystal Cave's Mystery Solved - The largest single crystal found so far is a staggering 11m (36ft) long and 4m (13ft) in diameter! It's "the Sistine Chapel of crystals," says Juan Manuel García- Ruiz. No, your eyes not deceiving you. This is the Cave of Crystal in Mexico. At a depth of 300m (1,000 feet) below the Naica mountain in the Chihuahuan Desert these beautiful crystal formations can be found. They were formed thanks to the caves being flooded with mineral rich water which was kept at a steady 136 degrees Fahrenheit (58 degrees Celsius). This allowed anhydrite in the water to slowly form into the gypsum crystals you see here. The geologist announced this week that he and a team of researchers have unlocked the mystery of just how the minerals in Mexico's Cueva de los Cristales (Cave of Crystals) achieved their monumental forms. Buried a thousand feet (300 meters) below Naica mountain in the Chihuahuan Desert, the cave was discovered by two miners excavating a new tunnel for the Industrias Peñoles company in 2000. The cave contains some of the largest natural crystals ever found: translucent gypsum beams measuring up to 36 feet (11 meters) long and weighing up to 55 tons. "It's a natural marvel," said García-Ruiz, of the University of Granada in Spain. To learn how the crystals grew to such gigantic sizes, García-Ruiz studied tiny pockets of fluid trapped inside. The crystals, he said, thrived because they were submerged in mineral-rich water with a very narrow, stable temperature range—around 136 degrees Fahrenheit (58 degrees Celsius). At this temperature the mineral anhydrite, which was abundant in the water, dissolved into gypsum, a soft mineral that can take the form of the crystals in the Naica cave. Sleeping children were woken by a "sonic boom" created as the golf ball sized meteor exploded above South Wales. Homeowner Steve Edwards, 56, said: "There was an enormous boom - It sounded like a bomb going off. "The force of it shook the windows in my house, woke up my children and caused car alarms to start going off in the streets. "I'm just glad none of it landed on my roof." Police and coastguards in South Wales had dozens of reports of a bright flash in the sky followed by a loud bang. Witness Nathan Jones, 34, who lives in nearby St Athan, said: "I've never seen something so amazing in my life. "It had a heat trail behind, It was orange and white and very bright, and also seemed very close. "It looked like it was skimming through the atmosphere due to the curved path it was taking." The meteor was first spotted in the North West and amateur astronomers watched as it sped towards the border of Wales and the South West. Hannah Sabido, 33, who spotted the meteor from her home in Bristol, said: "I first noticed it as a very bright glowing light behind cloud, travelling very fast. 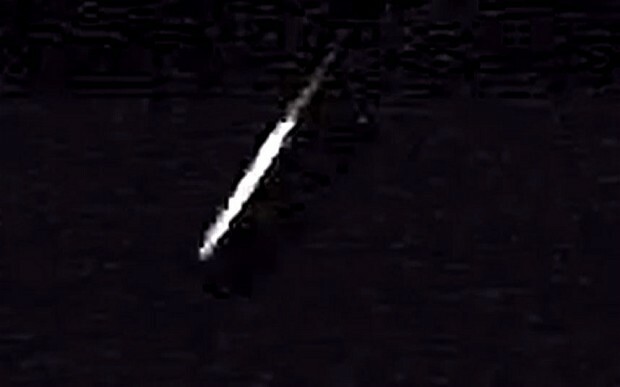 "It looked like a bright white ball with a long bright tail and possibly a green hue. It was brighter than the moon. "It became more orange towards the North East, giving off orange sparks before bursting out." The meteor eventually exploded above Cwmbran, near Newport, South Wales. Astrophysician Dr David Whitehouse said: "It was a piece of space rock coming into the earth's atmosphere and burning up as it does. "It's the size of a golf ball, it's coming in very, very quickly and leaving a bright tail as it vaporizes. "It's incredibly bright, it burns at an altitude of 60 to a 100 miles above the earth. "So if one flashes across the UK you can see it all the way along its track even if it it only lasts a couple of seconds. "It's not unusual for it to be soon for a couple of 100 miles all across the country. "Scientists will now be very keen to know if it's survived so they can try and collect it and examine it. "As for the rest of us we don't have anything to fear from a meteor or this size, there's no records of anyone having been killed by such a thing. "It's very, very unlikely to strike a person, much less likely than being struck by lightning. "Very rarely something large will come into contact with the earth, like the one which helped the dinosaurs on it's way - that was the size of Britain. "But this meteor is a wonder of nature, something in the night sky to be admired and enjoyed." Police in Wales confirmed they had dozens of reports of the meteor lighting up the night sky. NEIL ARMSTRONG 1930-2012 - First man on the moon...died aged 82. "Neil was among the greatest of American heroes - not just of his time, but of all time," said President Obama in a statement on Armstrong's passing. "Today, Neil's spirit of discovery lives on in all the men and women who have devoted their lives to exploring the unknown. 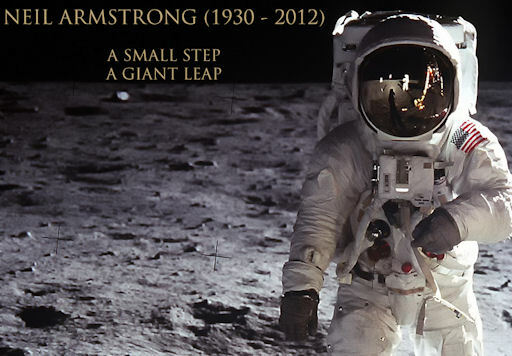 That legacy will endure - sparked by a man who taught us the enormous power of one small step." Apollo 11 astronaut Buzz Aldrin, who was with Armstrong on the Moon, had this to say: "I am very saddened to learn of the passing of Neil Armstrong. Whenever I look at the moon it reminds me of the moment over four decades ago when I realized that even though we were farther away from earth than two humans had ever been, we were not alone. Virtually the entire world took that memorable journey with us. I know I am joined by millions of others in mourning the passing of a true American hero and the best pilot I ever knew. I had truly hoped that in 2019, we would be standing together along with our colleague Mike Collins to commemorate the 50th Anniversary of our moon landing. Regrettably, this is not to be. Neil will most certainly be there with us in spirit." 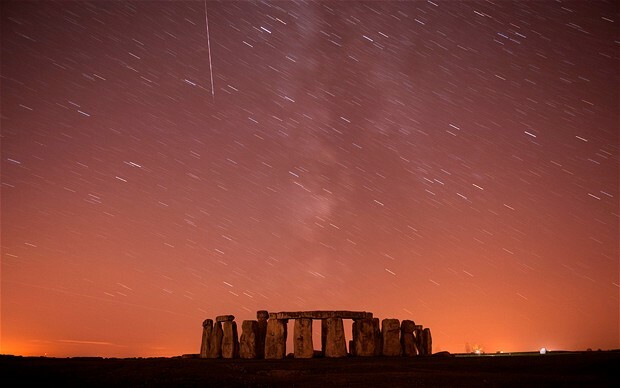 Perseid meteor shower to reach peak over Britain - 90 per hour !! Aug 2012...Up to two meteors will be visible every minute over the British countryside on Saturday night as the annual Perseid display reaches its peak. The meteors, which appear when particles of space dust collide with our atmosphere, will be visible as bright streaks across the night sky eminating from the Perseus constellation to the north. The Perseid shower, which happens each August, began on Wednesday night but will reach its most active period on Saturday with thousands of meteors expected to be seen over the coming evenings. After midnight, as the planet turns towards the stream of dust left by the Swift-Tuttle comet, as many as 90 meteors could be visible each hour from areas unspoiled by light pollution. Younger readers should also be able to spot meteors after dark at an earlier stage of the night, but they will only pass by about half as regularly as in the early hours. Sky at Night magazine advises readers to find a site away from streetlights - preferably in the countryside where the sky is darker - and avoid facing the moon. After allowing 20 minutes for your eyes to adjust to the dark, the best place to look is 20 to 40 degrees away from their apparent source in the Perseus constellation, a Y-shaped collection of stars in the northern sky. Although the meteors will seem to be bursting away from Perseus at different angles, they actually run parallel to one another along the path of their parent comet, Swift-Tuttle. $2.5 billion Mars Rover lands safely !! The one ton rover was set to landed on Mars on 6th August - NASA officials refer to the "seven minutes of terror" of landing the craft. 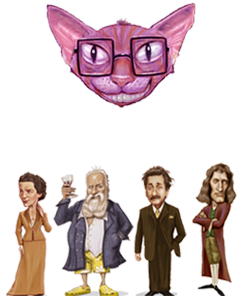 Curiosity is the most scientifically equipped probe ever sent to another planet. When the robot rover touches down, it will begin an intensive search for signs that Mars may have once hosted life. The $2.5 billion mission was being hailed as possibly the biggest, boldest extraterrestrial landing for NASA since Apollo 11 touched down on the moon in 1969, CNet reported Sunday. The descent through the atmosphere after a 570-million-km journey from Earth had been billed as the "seven minutes of terror" - the time it would take to complete a series of high-risk manoeuvres that would slow the rover from an entry speed of 20,000km/h to allow its wheels to set down softly. The process will be controlled by on-board computers, with no live control from the ground, since it takes radio signals 14 minutes to reach the Earth from Mars. "When we first get word that we've touched the top of the atmosphere, the vehicle has been alive or dead on the surface for at least seven minutes," Adam Steltzner, lead mechanical engineer, said in a NASA video about the landing. NASA said the landing of the one-ton rover marks the beginning of a two-year prime mission to investigate "one of the most intriguing places on Mars." The Rover blasted off on an Atlas-V rocket in November and took about eight months to reach Mars. The rover will land near the Martian equator, where it will deploy its exploration equipment. 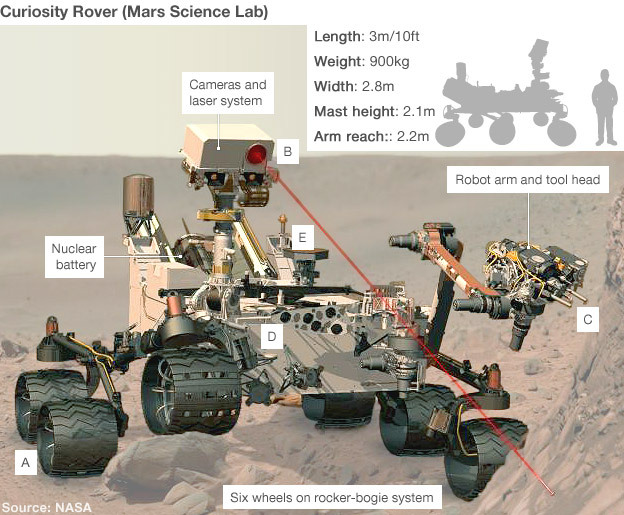 The rover's arm extends about seven feet from the main vehicle to grab rocks and dust for closer study. 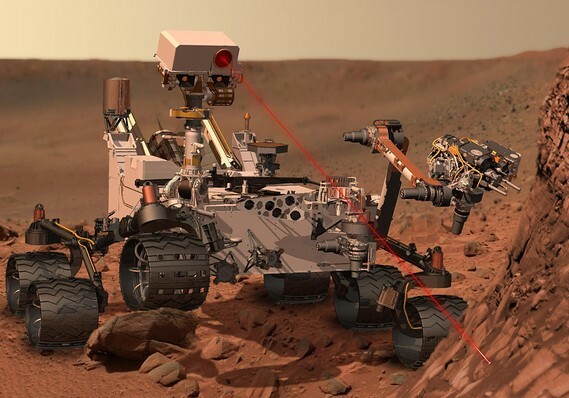 The nuclear-powered rover's head mast rises to nearly seven feet above the surface with a camera for stereo color viewing. The mast also holds a laser that can vaporize a speck of material on rocks up to 23 feet away to determine their elements. 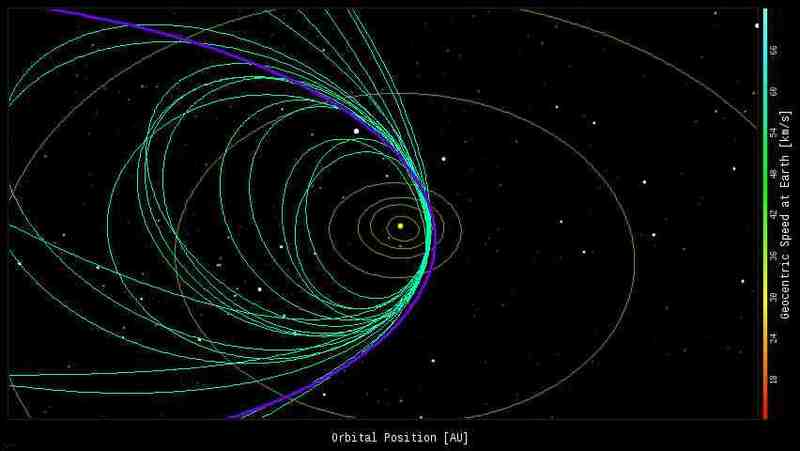 The focal point of the Martian mission on Earth will be NASA's Jet Propulsion Laboratory in Pasadena, Calif.
traces the orbit of the parent Comet Swift-Tuttle. 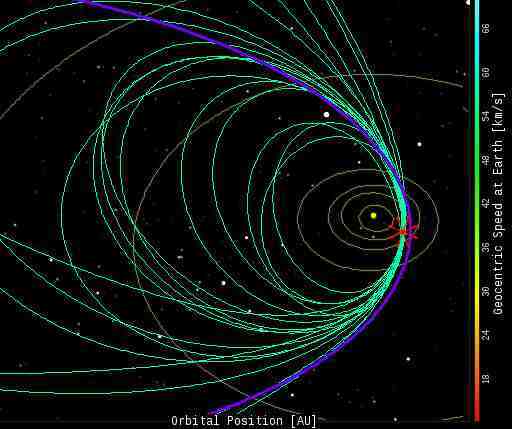 Fortunately, the comet itself does not intersect Earth. visible from dark-sky sites. Monitor the realtime meteor gallery for sightings. 90 per cent of adults consume caffeine daily. Caffeine acts as a metabolic stimulant on the central nervous system, reducing physical fatigue and drowsiness. Less than an hour after consumption, caffeine is reported to improve the flow of thought and increase focus and body coordination. However, the amount of caffeine required to produce these effects depends on a person's body size and degree of tolerance. The effects usually disappear after five hours. Caffeine is a bitter, crystalline xanthine alkaloid that acts as a stimulant drug. In plants, caffeine functions as a defence mechanism. Found in varying quantities in the seeds, leaves and fruit of some plants, caffeine acts as a natural pesticide that paralyses and kills certain insects feeding on the plant. What are the physiological effects of caffeine consumption? 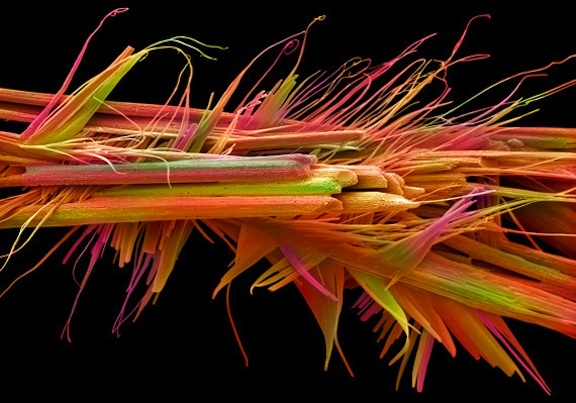 Caffeine crystals - This false-coloured scanning electron micrograph shows caffeine crystals. Too much caffeine can cause restlessness, nervousness, insomnia, nausea and vomiting, but normal levels of consumption (approximately 200-300 mg daily) pose few known health risks.